Why do bad things happen? Why do people get sick? Why do people get hurt? I don’t just mean why do bad things happen to good people? I mean why is there suffering in general, like birth defects or cancer or senseless deaths? Some say it’s because we live in a sinful world. Some say it’s just a part of life. Others say we suffer the consequences of our choices and sometimes we get the shrapnel of other people’s choices, among many other explanations. I was thinking about this today when I got word about a friend. One of the young ladies at our church has been fighting cancer for a while now after being in remission for 12 years. She’s only in her mid 20s. Today, we got word that the doctors are putting her on home hospice and only expect her to live for a few more weeks. My heart breaks for this young woman and her family during this obviously painful time and I found myself wondering why these things happen. Well, I’m not trying to answer the question of why. Right now, at this point in my life, I realize I’m content not having all the answers, not completely understanding why. Part of this reasoning is my belief that everything happens for a reason and sometimes we just don’t get to know that reason. I also believe God always gives us healing, maybe not in the way we’re asking for it, but He does give it. I think one of three things happens: 1) He saves us from it. Meaning whatever we think we’re about to face, He takes it away and we don’t have to go through it. For example, the doctors are testing for something and the tests come back negative. 2) He saves us through it. Meaning whatever we’re going through, we survive. For example, the test comes back positive, but the treatment works and your body is healed. 3) He brings us home by it. 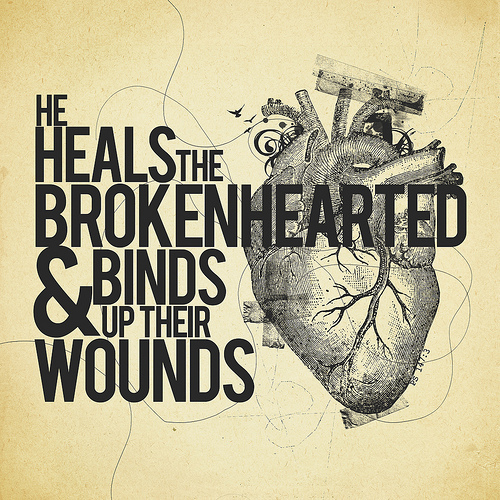 Meaning He heals us in Heaven. For example, the treatment doesn’t work and your body isn’t healed, but your suffering on earth is over. If you have faith in God and His plan, when you look at the above scenarios, you can’t lose. This doesn’t mean the experience isn’t painful and difficult, but you can have confidence that no matter how God chooses to heal you, you’ll be okay. Thank you for the reminder that we are not in control, and we can put our whole faith in God! I would much rather have God in control! Your mom and dad did a wonderful job in raising you. I wish I could say that I had a part in raising Gini, but in truth her mom did the raising and I just stood in for the times she needed to be with us. I admire your relationship with God and your great faith in Him. I will continue to pray for your family and do so enjoy your writings.Thank you so much.